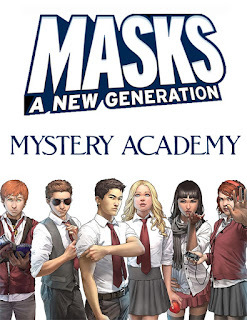 In January I ran four sessions of “Mystery Academy,” a game set in an enigmatic school. Sherri spoke about it in this week’s Gauntlet Roundup podcast episode. A few things influenced how I imagined the setting: Morning Glories, Gunnerkrieg Court, Harry Potter, Strange Days at Blake Holsey High. John Bellairs, and Locke & Key among others. Some players suggested other models—Lumberjanes, Greenhouse Academy, and New Mutants for example. A couple of months back I posted sketches of my initial thinking. 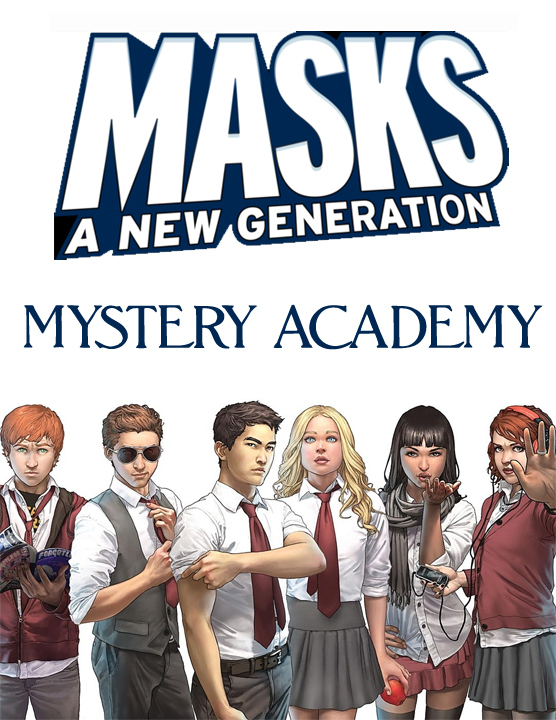 I used Masks: A New Generation as the game’s basis. It’s an excellent rpg of teen superhero drama, open enough to adapt to other settings and purposes. For example last year I ran a post-Zombie Apocalypse game with it. That had potential, but needs more work. 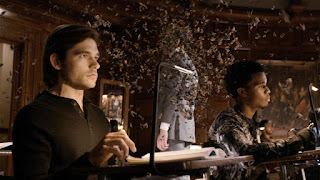 I like how Masks handles powers, social dynamics, and influence. As opposed to Monsterhearts, it focuses on a team of characters and establishes tension within that group. 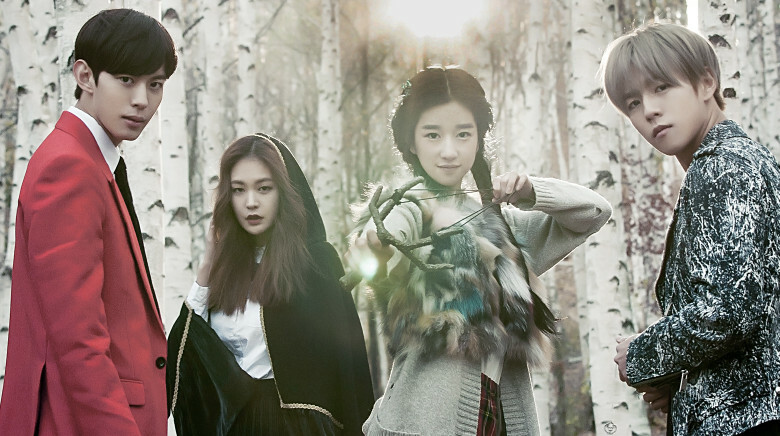 MH has more individual teen drama; it’s also darker than Masks and what I aimed for. For this hack I mostly used Masks as-is. I made a few changes to basic moves, added two new moves, and stripped away the playbooks. Each character began with five stats, a minor & major weird power, and a single move reflecting their background. In today’s post I focus on the mechanical side of the game. Next time I’ll talk about concepts, story, framing, and what changes I’d made to the mechanics. If you’re curious you can see the session videos here (Session 1, Session 2, Session 3, Session 4). I stuck close to the Masks: TNG rules, but changed some wording changed to reflect the setting. For example, for the move Unleash, I refer to characters using “their weirdness.” I wanted to reinforce the uncertainty of their powers. In a couple of cases I broadened moves, like the two informational moves-- Read the Scene and Pierce the Mask. When you study a place, thing, or situation with an eye to action, roll + Superior. On a 10+, ask two questions. On a 7-9, ask one. Take +1 while acting on the answers. Questions are open, but here are some examples (followed by the standard questions). When you pierce someone’s mask to see the person beneath, roll + Mundane. On a 10+, ask two questions. On a 7-9, ask one. Note: certain adult staff members require additional set up in the fiction to allow this move on them. Questions are open, but here are some examples (followed by the standard questions). I’ve been thinking about “question” moves a lot. They’re interesting in many PbtA games and when well done, they support the fiction. But they can also limit players, especially if they have a strong sense of what they want to know. In that case they have to bend the given questions out of shape. That’s especially true for games focused on investigation. As you saw above, I kept the example questions as is, but if I do another iteration I’ll add setting specific ones. Informational moves overall can challenge a GM. I’ve been trying to articulate my approach. It isn’t novel; I’m guessing most handle it this way. When players ask a question, I give them generally accessible info—assuming competency and appropriate positioning. In that sense we’re taking a Gumshoe approach. You don’t have to roll for the basics, or even follow ups easily gleaned. We go to a roll when pursuing further presents a potential cost: time, resources, attention. For PbtA I go to the roll when the information sought could change the game state—opening avenues, establishing important facts, creating opportunities. For Mystery Academy I wrote a move that actively encourages player additions to the setting. While we already do that through leading questions, I also wanted something that says: when you go looking for something, you can declare what it is. Or you can hand it over to the GM if you’re more interested in reacting. The move also encourages players working together. When you explore, research, or draw on your memories to seek answers, say generally what you might find and roll. If someone aids you, you may roll with an appropriate stat. On a 10+ you may declare what you've found out or ask the GM to answer in a positive way. On a 7-9 you may declare or ask, but the GM may add a cost, make it adversarial, or have it be ambiguous. On a 6-, the GM may make the declaration entirely. When you do something under pressure, roll +Savior. On a 10+, you do it. On a 7–9, you flinch, hesitate, or stall: the MC can offer you a worse outcome, a hard bargain, or an ugly choice. On a miss, be prepared for the worst. All of these changes and additions meant I had to modify the conditions characters could take. In Masks each condition gives a -2 to some actions. When you enter a charged situation together as a Class, add one to the Trust pool. Determine who is leader. If the leader has an Influence on each classmate, add another Trust. If everyone has the same purpose in the scene, add another Trust. If anyone mistrusts the leader or wants to be leader, remove a Trust. If your class is ill-prepared or off-balance, remove a Trust. The leader can mark a condition to avoid removing a Trust. Anyone working with the class can spend Trust one for one to help a classmate; give them +1 to their roll. Classmates can also burn Trust to act selfishly. When you act selfishly, say how your actions ignore or insult your classmates, remove one Trust from the pool, and shift one Label up and one Label down. You can use this after rolling to alter the Label you’re rolling with. Whenever time passes, the GM empties the Trust pool. Grow closer to your class. Explain who made you feel welcome; give an Influence to that character and clear a condition or mark potential. Grow away from the class. Explain why you feel detached. Take an Influence over you away from another character. For Advances players could increase a label or add a custom move. I suggested looking at the Background moves (see below) for ideas. Each character began with a little power and a big one, their “weirdness.” The little one gave a modest effect without a roll or acted as supporting fiction for a roll. The modest powers were: appearance changing, being slightly unseen, doors unlocking, moving small objects at a distance, talking with animals, and impressions from the past on an object. They more impactful than I’d originally imagined, but that was better. Any bigger power required the Unleash move. Some of those included whirlwind of force, reshaping metal into a defense, manipulating emotions, and guidance towards the future. Players didn’t have playbooks, but I still wanted to give them something beyond their weirdness to differentiate them. Each character chose one background taken from the various Masks Playbooks. ANGRY: Things never go your way, the world's out to get you. You knew that they'd somehow try to throw you away, but you don't care. (“I don’t care what you think” from The Delinquent). BORN TO STRANGENESS: Perhaps your parents were part of a strange conspiracy that led to you coming here. Maybe you grew up in a cult. Possibly you were found in the woods. You always roll Seek with +1. SCATTERED: You wear your strangeness on your sleeve. Your dress, manner, speech, or attitude reveal that you're not entirely on the same page. (“Not from around here” from The Newborn). WELL-ADJUSTED: You grew up in a normal, happy family. You don't get all the weirdness, conspiracy, and danger that seems to surround you. You have an additional condition you may mark, Disillusioned. Choose one action it gives a penalty when taken. Hearts of Wulin: What Next?